I am still using this commentary series as my devotional material. I have completed the ones on Ecclesiastes, Genesis and Hebrews. I started on the Exodus one last year but stopped half-way to read up on Hebrews instead. Today, I am re-starting on Exodus. The challenge with this Exodus commentary is that it has 1248 pages in print! It has 102 chapters and each chapter is from 10 to 15 pages. In short, it is very long. I only hope I can manage to read, meditate and pray on a chapter a day. If I were to be faithfully doing that, I should complete it on 30 September 2014. Let's see if I can meet that goal. Exodus is an amazing book in the bible. 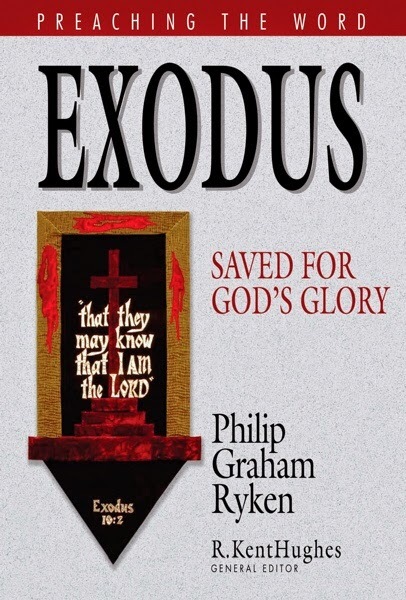 Ryken says, "Exodus is an epic tale of fire, sand, wind, and water...almost every scene is a masterpiece...once heard, the story is never forgotten...for Jews it is the story that defines their very existence, the rescue that made them God's people." And note this, Ryken continues to say, "For Christians it is the gospel of the Old Testament, God’s first great act of redemption. We return to the exodus again and again, sensing that somehow it holds significance for the entire human race. It is the story that gives every captive the hope of freedom." And with that I look forward to every morning spending time with God, in his wonderful glory, through the book of Exodus.